Did you know: What the difference is between Corrugated or Cardboard boxes? Folks think they’re the same, but any packaging engineer would cringe to hear these terms being used interchangeably. 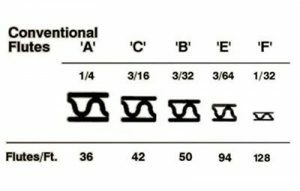 Corrugated boxes are easily identified by their layers (usually three): An inside liner, an outside liner, and a “fluting,” which is sandwiched between. It’s the fluting that gives corrugated boxes their strength. Cardboard boxes on the other hand are simply a thick paper stock known as paperboard. Now you know the difference, and knowing is half of the (packing) battle. Custom boxes are available to build now. Click the button below to get started. Did you know: that corrugated board is a combination of at least three sheets of paper, collectively called containerboard? 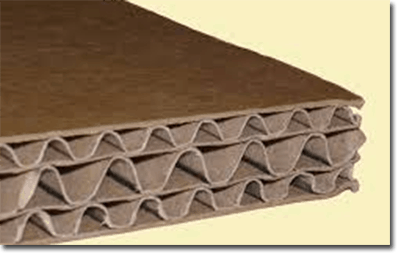 The paper layers on the outside are known as the liners, or linerboard, while the fluted or wave-shaped material in the middle layer is called corrugating medium. Corrugated board comes in different thicknesses, depending on the height of the flutes, and number of flutes per foot. Ready to build a box? Build custom boxes online and receive your quote in 24-48 hours. Just click the button below to get started.